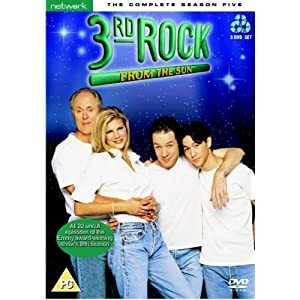 The TV serie “Third Rock From The Sun – Series 5 – Complete” on DVD, UK version. English language only. 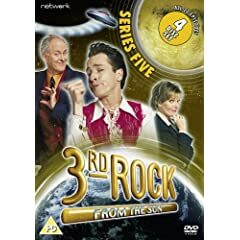 This version of “Third Rock From The Sun – Series 5 – Complete (UK Version)” was released in 2008. La série TV “Third Rock From The Sun – Series 5 – Complete” en DVD, version anglaise. Anglais uniquement sur ce DVD. Cette version de “Third Rock From The Sun – Series 5 – Complete (UK Version)” est sorti en 2008. The TV serie “3rd Rock from the Sun: Season 5” on DVD, US version. English language only. 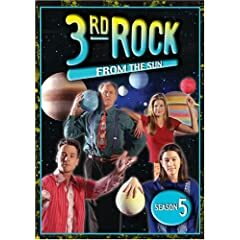 This version of “3rd Rock from the Sun: Season 5 (US Version)” was released in 2006. La série TV “3rd Rock from the Sun: Season 5” en DVD, version US. Anglais uniquement sur ce DVD. Cette version de “3rd Rock from the Sun: Season 5 (US Version)” est sorti en 2006.